This Hungarian artist born in 1948 has been painting for nearly 45 years. 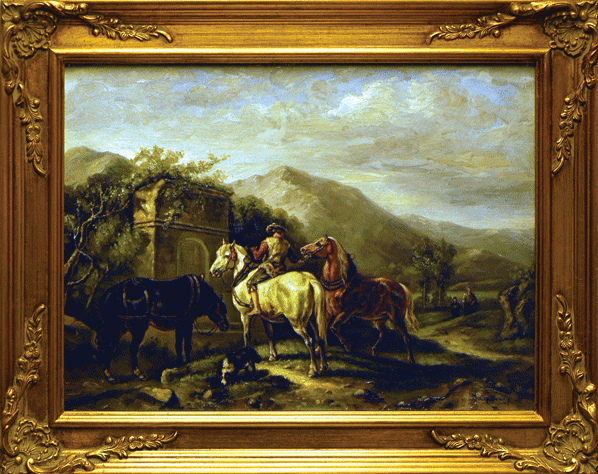 His specialty is the rendering of animals, particularly horses, as reflected in this exquisite piece. His works have been exhibited in Europe and the United States for many years.